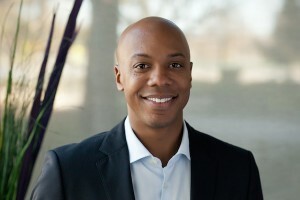 When SoftTech VC partner Charles Hudson came through San Diego last month, he explained why his firm is increasingly taking bigger stakes—and bigger risks—in funding early stage tech companies. He also explained what SoftTech is looking for when it invests in startups outside Silicon Valley. As one of the first “micro VCs” in the Bay Area, SoftTech has been part of a huge wave of increased venture funding for Web 2.0 startups. According to MoneyTree data, venture funding for Internet-specific deals hit $7 billion in 2013—a 63 percent surge from $4.3 billion in 2010. Of course, most of that capital has flowed into Silicon Valley. SoftTech was founded in 2004 by Jeff Clavier, a French software engineer, entrepreneur, and fund manager. Through the first two funds (SoftTech’s Fund I invested less than $1 million and Fund II was $15 million), Clavier operated mostly on his own—closing on almost 90 investments in search, social media, online communities, and application infrastructure. SoftTech’s status as a micro-VC and “one-man band” began to change in 2010, when Clavier brought Hudson in as a partner and hired Stephanie Palmieri (who is now a principal with the firm). Hudson got his start working in the venture business at In-Q-Tel, the CIA’s nonprofit venture fund arm, and later worked at IronPort Systems, an anti-spam appliance maker acquired by Cisco and Google. Before joining Clavier at SoftTech, Hudson was a co-founder of the mobile games startup Bionic Panda Games, and vice president of business development for the social gaming company Serious Business (acquired by Zynga in February of 2010). SoftTech began investing from its fourth fund earlier this year, after raising $85 million in a continuing transition to a more-traditional venture firm. SoftTech now has offices in San Francisco as well as Palo Alto, CA, and Hudson said the firm makes about 80 percent of its investments in the Bay Area.